In mid-summer I wrote about the Canadian Baseball Hall of Fame in St. Marys, Ontario, and the successful Induction Day ceremonies it held this past June. I mentioned that the new inductees included Canadian pitcher Paul Quantrillâ€”his 14-season major league career took him to Toronto, Boston, Philadelphia, Los Angeles, New York (Yankees) San Diego and Floridaâ€”and Robbie Alomar, a Blue Jay forever, if Toronto fans have any say in the matter. Charles Bronfman made a significant donation to the Hallâ€™s development fund and even Babe Ruthâ€™s granddaughter took part. And I also made mention of two other menâ€”Calvin Griffith and Allan Rothâ€”who were inducted posthumously. Both Griffith and Roth were Canadians by birth and while their contributions to the game took place in the United States, it was fitting that they be honoured by the baseball community in their country of origin. At the induction ceremonies, both were represented by close family members; the ceremony meant a lot to them. I promised that I would expand on the careers of these two men in a subsequent essay. Here it is. Calvin Griffith was born in Montreal on December 1, 1911 into difficult circumstances. While still very young he and his sister Thelma were dispatched to Washington, D.C., where they were subsequently adopted by Clark Griffith, the iconic owner of the Washington Senators, and given the Griffith name. When Calvin seemed interested in following the familyâ€™s baseball footsteps, Clark made him a Senatorsâ€™ batboy. Following graduation from George Washington University where he played baseball, Calvin began his own life journey in the minors leagues, first in Chattanooga (home of the Lookouts, where his mentor was the legendary Joe Engle, a close associate of Clarkâ€™s and married to Clarkâ€™s niece) and later Charlotte. 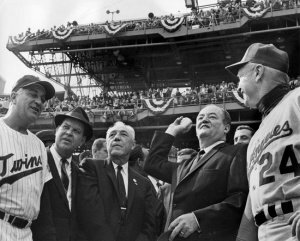 By the early 1950s Calvin was back in Washington, in charge of the Senatorsâ€™ day-to-day-operations. When Clark Griffith died in 1955, ownership of the club passed to Calvin and his sister Thelma. Calvin continued to oversee the running of the club, including salary negotiations, while Thelma managed the financial side. Together they formed an effective partnership. Calvin was behind the decision to move to Minnesota in 1961. Under his tutelage, the newly named Twins enjoyed great success, winning one pennant and two divisional titles. However, by 1984 he and Thelma had run their course. They sold their 52 percent share to Carl Pohlad for $32 million, chump change by todayâ€™s standards. Calvin Griffith died on October 20, 1999 at the age of 87, bringing to an end a life rich in adventure and challenges â€“ and light years removed from the hardships he and his mother and six siblings endured during those first years in Montreal. His early story reads like a tale pulled from the pages of Boyâ€™s Own or a novel by Horatio Alger. Calvinâ€™s father was Jimmy Robertson, originally from the Shetland Islands. 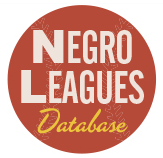 Something of a minor league ball player, he was offered a tryout with the International League Montreal Royals in the mid-1910s although failed to make the team. Among the reasons, as Calvin once explained to my colleague Danny Gallagher, was that Jimmy, the minor-league ball player, was a major-league alcoholic. What limited income he had came from a modest newspaper distribution/delivery business he operated in Mount-Royal, a newly-established model community in the suburbs of Montreal. But Jimmy had a sister, Anne, and this is where the story takes its remarkable turn. For Anne Robertson lived in Washington, D.C. She was married to Clark Griffith. When Jimmy died in 1922, his widow, Jane, desolate and impoverished, turned to her sister-in-law for help. Soon enough the whole family was bound for Washington and the bosom of the Griffith family. And, to borrow from that old SNL skit, baseball was about to become very, very good to them. Allan Roth, who was called a witty Canadian with an astonishing arithmetical mind by Boys of Summer author Roger Kahn, is generally considered to be the father of sabermetrics. He was among the first to bring interpretation and analysis to the gameâ€™s raw numbers, changing the way that data were collected, and ultimately influencing how the game was played. Roth was born in Montreal on May 10, 1917 and grew up in the city. It was here he took the first steps toward his lifeâ€™s vocation â€“ his avocation really â€“ massaging the numbers associated with sporting events, pulling together as many core statistics as he could and then seeking out whatever correlations and conclusions could be gleaned from them. His first steps in that direction had to do with hockey. In the early 1940s he was already keeping stats for the National Hockey League. 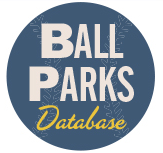 It would appear that he was first drawn to baseball numbers during World War II when he was seconded to the Canadian armyâ€™s research centre in Valcartier, Quebec, on the outskirts of Quebec City. Friends of the local Jewish community introduced him to minor league baseball at Quebecâ€™s gem of a ball park, the Stade Municipal. As if ordained, he began toying with the numbers of that game, soon realizing that it held infinite more possibilities than hockey. When Charlie Dressen took over as manager of the Dodgerâ€™s and brought his own seat-of-the pants approach to management (â€œI got my own way of figurinâ€™,â€) he was suspicious of the information and conclusions that Roth was giving him. Consequently, by 1952, Kahn wrote, while â€œDressen followed whim and inspiration, Roth was flooding the working press with data.â€ This led to a deeper appreciation for his analytical approach to the game, and a broader audience, including baseballâ€™s televised game of the week. He maintained his association with that broadcast, on both NBC and CBS, until 1990. 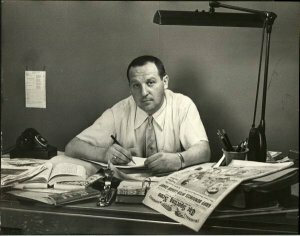 From 1955-1971, Roth was editor of â€œWhoâ€™s Who in Baseballâ€. These simple paperback tomes printed on newsprint were models of minimalism, stripped down to their bare essence. 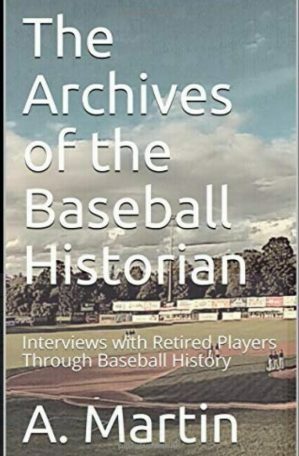 Apart from a title page listing publisher (Harris Press) and, yes, the editor, they offered nothing beyond the â€œOfficial Lifetime Records of Major League Players.â€ No introduction, no wordy explanations, no cumbersome qualifications, no advertisements. 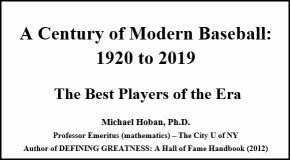 Prized by collectorsâ€™ today, in its time the modest â€œWhoâ€™s Who in Baseballâ€ was simply invaluable. Alan Roth died on March 3, 1992. Perhaps the most fitting testament to his memory is found within SABR itself. The Societyâ€™s Los Angeles branch calls itself the Allan Roth chapter. Bill, a native of Quebec City, has been a SABR member since 20001 and was a founder of the SABR-Quebec Chapter in 2005.Â He collaborated with Danny Gallagher on the best-selling Remembering the Montreal Expos, and has published a number of articles about minor league ball in Quebec, particularly with respect to the Provincial League. Calvin Griffith was a racist who moved the Senators to the whitest place he could find, and always treated his African-American players terribly. He gave a speech to the Minneapolis chamber of commerce talking about why he moved the team out of Washington, to get away from all those black people, thus triggering the departure of players like Rod Carew, Larry Hisle, and Lyman Bostock, as soon as they could get away. The people in the Canadian Baseball Hall better make sure his plaque is nowhere near Fergie Jenkins. Nice article. I would like to read sdome of Bill’s stuff about the Provincial League, as I am a big Vic Power fan. Get your facts straight Jim, it wasn’t to the minneapolis chamber of comemerce. it was a lions club meeting. they are quite different you know and it is nothing more than a rumor. yes he had a fued with rod carew but carew later forgave him and even thanked him in his hall of fame speech and gave his approval for his statue to be built near his own at target field. I just came across your fine article about my father, Allan Roth. Nice piece of work. I am always glad to see that people appreciate his contributions to baseball. My visit to the Canadian Baseball Hall of Fame on the occasion of his induction was a wonderful experience. I didn’t know it existed until I got the call from Tom Valcke telling me of my dad’s induction and I was tremendously impressed with what they’ve achieved there. Thanks again for helping keep alive my dad’s contributions to baseball.